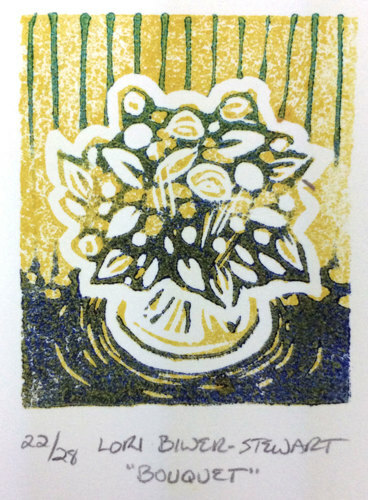 Bouquet is a sweet miniature linocut. Two color reduction print. Ships unmatted, mounted on archival foamcore and packaged in a plastic sleeve.